Walking on a roof can be an unsettling affair – doubly so for tile roofs. If you don’t apply the right technique, you can easily cause breaking and even the potential for you to seriously be hurt. Before you can start walking you need to understand a little more about roofs in general. What are the different types of roofs and what are they made of? Roofs come in plenty of different materials like wood, metal, clay, slate, asphalt, and composite shingle. Of these shingle is the most common because of the cheap installation costs. Slate, on the other hand, is more expensive but boasts the longest lifespan. Do tile roofs come in different materials? There are a host of different tiles, like metal and copper – these variants are more lightweight than traditional tiles. Bituminous and composite tiles are newer low-cost versions, while the most common by far is concrete and clay tiles – which will serve the bulk of our focus. So, why a tile roof? Clay and concrete tile roofs have a much higher lifespan than traditional materials, while also costing about half the price of slate. So high is their expected lifespan that there many buildings in Europe and Asia that are over a century old still have their original roof tiles. Sure they last awhile, but how do they stack up compared to others? Among the host of advantages they have, roof tiles are environmentally friendly as they are not made with any chemical preservatives and are thus recyclable. These tiles are formed in such a way to leave a space of air just underneath them, giving them higher thermal efficiency. Are there any problems with roof tiles? Concrete roof tiles, while superior in many ways, do have a couple of issues. First, they are notoriously difficult to install. If you do ever have to replace a section, you’ll notice that newer tiles don’t blend in for years. Plus, they are extremely hard to walk on. What do I need to know before I walk on a tile roof? Before I can go over specific techniques, you need to understand the composition of the tile and the roof itself. The highest point of the tile is the peak and the lowest the valley. The part where the tiles overlap on the roof is the ridge tile – these are typically larger and more fragile. What should I look at before I step onto the tile roof? 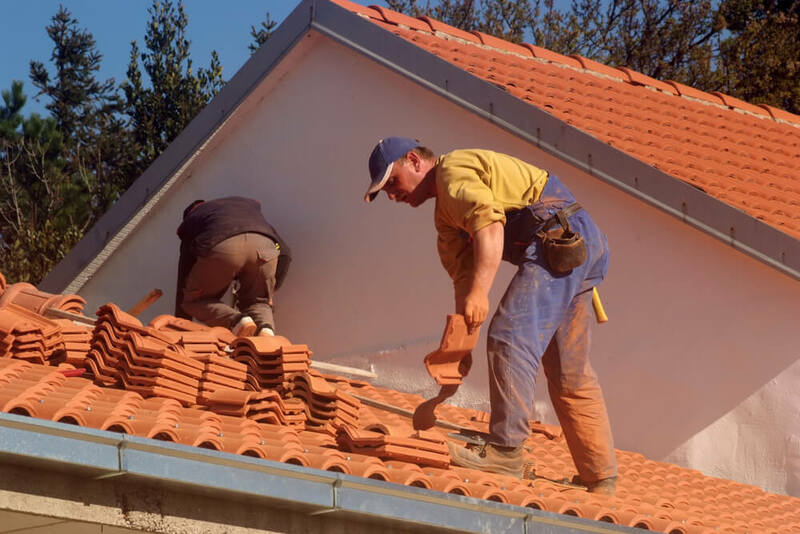 Our local expert, Rizzo Roofing, who are master roofers in Orlando, say if the roof has an extremely steep pitch, and you can’t avoid walking on the roof altogether, they recommend using a harness and climbing rope. If it has recently rained or there is any dew on the roof, you should avoid walking on the tile roof at all costs. Okay, I think I got that, how do I start walking? Try to visualize your path before you start. When you step, make sure to avoid the ridge and valley spots, as these areas are prone to break. Remember, the area directly underneath the tile isn’t filled, so it is weaker. The best course of action is to step on the bottom part of the tile. Are there any other spots on the tile that are weak? The water channel, or the spot where the tiles meet, should be avoided. When you are stepping on each tile make sure you are doing so on the peak of the tile and not the valley. So each step should be at the highest point of the bottom third of the tile for maximum support. How should I distribute my weight? As evenly as possible across separate tiles. As you are stepping make sure to transfer the weight slowly, and walk on the balls of your feet. Make sure to never jump, leap, or even step quickly from tile to tile. What about tiles that are already broken? You need to be extra vigilant about these, as even something as small as a hairline fracture can undermine the constitution of the tile. Once a tile breaks completely not only does it become an eyesore, but can also lead to your roof leaking. This is kind of difficult for me to visualize. Rick Hartman gives a short example on how to walk on roof tile. He also mentions that you should wear soft sole shoes with a grip, to never walk on a wet roof, and after every few steps to take a moment to look around. Are certain tiles prone to break more? 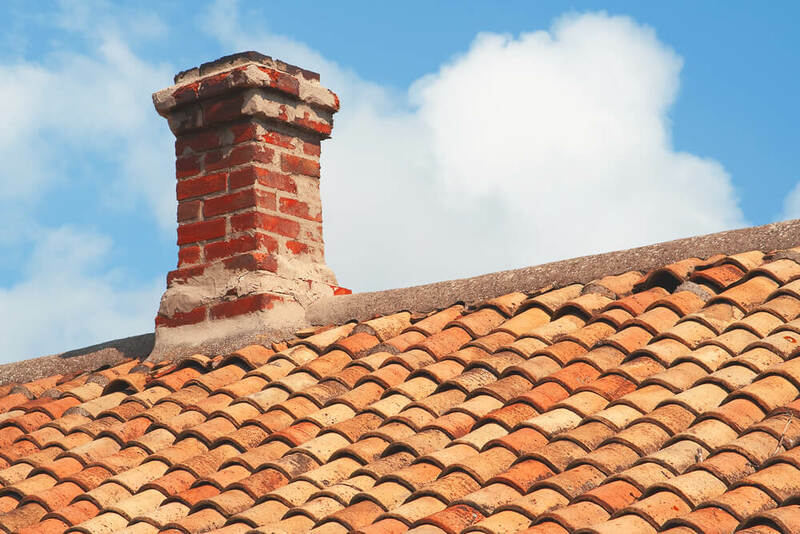 Roof tile strength can fluctuate greatly – with lighter pieces weaker than the heavier ones. In addition, but roofing tiles do get stronger with age, so new ones will break easier. However older tiles have been weathered down, so they are typically much smoother than newer ones. Anything else I should know? Ideally, you should avoid walking on a tile roof if you can. If this is impossible, make sure to stay mindful, be careful, and work slowly. Following the techniques above will not only save you money but can also save your life.